Gareth McLearnon is an internationally renowned and multi-award-winning flutist, composer, arranger and educator who travels the globe every year leading a diverse, innovative, creative and exciting musical career. Originally from Belfast, Northern Ireland, he attended the Guildhall School of Music & Drama from 1999-2003 and is currently based in London where he lives with his wife and fellow flutist Abigail Burrows. Gareth’s professional career started early - playing his first professional orchestral concerts aged 17. At 19 he began to play professionally in London's West End theatres, and in the same year was also invited to record a track for the CD ‘Songs for Alexander’ with the World famous flutist Sir James Galway and harpist Marisa Robles. Following his graduation in 2003, he was awarded the prestigious Ian Fleming Award from the Musicians Benevolent Fund and a Countess of Munster Musical Trust Award. After a year of postgraduate study, he won a principal flute position in Southbank Sinfonia for their 2005 season. As a performer, Gareth is in demand as a soloist, recording artist, orchestral and chamber musician. He has given many hundreds of performances across four continents, and has led masterclasses and education events for thousands of flute players of all ages and abilities. In recent years his engagements have included masterclasses in the USA at Yale University and Boston Flute Academy ; in Europe at the Guildhall School of Music & Drama; The Royal Conservatoire of Scotland; The Norwegian Academy of Music; Swedish Royal College of Music; Royal Danish Academy of Music; Zagreb Academy of Music; Ljublana Conservatory; Flutewise Academies; The Gnessin School and Gnessin Academy of Music in Moscow; Jerusalem Music Centre in Israel; and in Asia at the Central Conservatory of Music in Beijing; St John’s University, Taipei; and the Taipei National University of the Arts, Taiwan. He has given masterclasses and performances at the British, Australian, Spanish, Portuguese, Polish, Finnish, Swiss, Adams, Hungarian and Sir James Galway Flute Festivals; and has performed and presented at a total of five NFA Conventions in the USA, as well as given concerts and masterclasses in France, Norway, Hong Kong, Malaysia, Ireland, Kenya, Monaco, China, UAE, Taiwan, Croatia, Slovenia, Serbia, Denmark and Iceland. In June 2013 Gareth was appointed as a Flute Professor at the Yuri Bashmet International Music Academy in Samara, Russia. Since then, further engagements all over Russia have followed on from this academy position including numerous masterclass and concert tours to Moscow, Novosibirsk, Yekaterinburg, Sochi, Kazan, Yaroslavl, Rostov-on-Don, Zhoukovskiy, Khabarovsk, Yakutsk, Vidnoye and Tollyatti; including several soloist and concerto performances with the world-renowned Moscow Soloists conducted by Maestro Yuri Bashmet himself. Gareth has been Principal Flute of the critically acclaimed Heritage Orchestra since 2009 - playing concerts all over the UK, Europe & The Middle East including concerts and tours with Tim Minchin; Antony & The Johnsons; Sparks; Jane Birkin; Ben Folds; Goldie; Seu Jorge; Tim Exile; Ibiza Classics; BBC Proms performances with Jamie Cullum in 2010, Pete Tong in 2015 and the Scott Walker Prom in 2017. 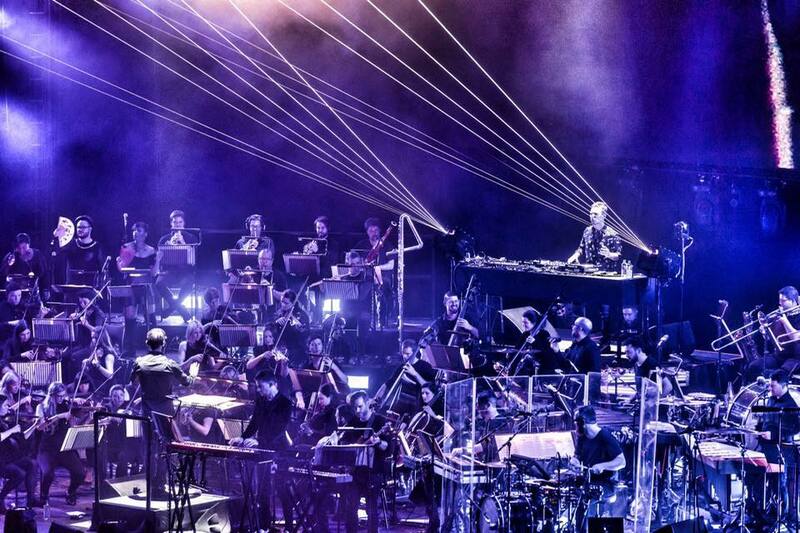 His other freelance orchestral work includes concerts and/or recording sessions with the London Symphony Orchestra, London Contemporary Orchestra, National Symphony Orchestra, English Session Orchestra and Orchestra of St John’s. Frequently in the Recording Studio - Gareth has recorded both as a soloist, chamber musician and in orchestra in Abbey Road, Air Studios, Angel, Eastcote, Kore, Fish Market and Retreat Studios for many TV, Motion Picture & Computer Game soundtracks, as well as for General Release Albums and Library Music; including as a guest artist with the world renowned a cappella ensemble Voces8 - recording two tracks for their 2019 DECCA Classics Album “Enchanted Isle”. As a composer - his numerous works for flute ensemble have been performed all around the world including in such prestigious venues as the Royal Albert Hall and Cadogan Hall in London, The Rachmaninoff Hall in Moscow, and the Concertgebouw in Amsterdam. 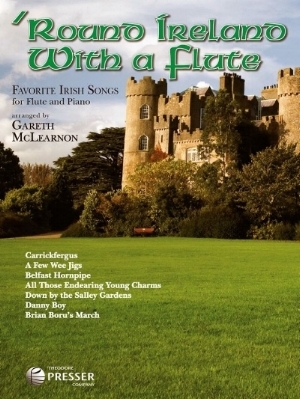 His arrangements for flute and piano were first published by Theodore Presser in his 2008 collection of Irish Melodies “Round Ireland with a Flute” - and he has also been published by Trinity Guildhall Examinations in their “Musical Moments” series of graded repertoire for flute, clarinet and saxophone. Gareth is extremely proud to be the European Artist-in-Residence for Wm. S. Haynes Co. and is a Haynes Artist - playing on a beautiful custom made solid 14K gold Haynes flute #54321. He is an endorsee for MicroCork - an innovative flute pick-up system, he plays Irish Whistles handmade for him by William Simmons, a Haynes-Amadeus Alto Flute and custom made Eva Kingma bass and contrabass flutes.